Tame those tresses with style and ease! You’ll love this super sweet and stretchy piece as much as we do. Tying a headscarf can be frustrating and time consuming. We have found the perfect solution, the Sophia! With an elastic band for a ponytail in the back and two silk tails it’s virtually effortless. Just slip it on for a perfect look and fit. 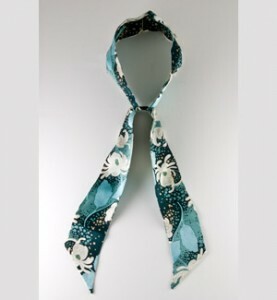 You can also wear it with your hair down and tie the loose ends in a bow for a pretty finish.